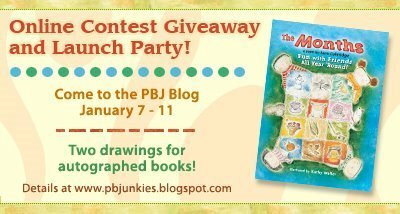 Come join the fun over at the PBJ's and win yourself an autographed copy of Kathy's new book, THE MONTHS! oooh a present from snowbear! What can it be? SQUEAL! A ladybug purse filled with ladybug goodies! Chocolate and toys , is there anything better? 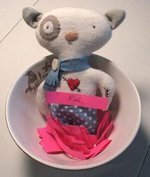 Snowbear, thank you so very much for such a thoughtful surprise and for sharing in the celebration of my new assignment. And you're right, ladybugs are my "thing". Look at what my dear friend is sending me! 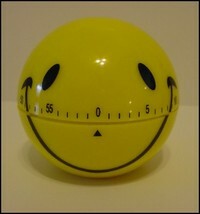 It's a smiley face to add to my timer collection. Her directions are to take 15 minute "time outs" to relax and enjoy the moment. For any of you out there that may be stressed out or overwhelmed with tasks at hand I recommend you do the same! We fill our lives with so many "have to do's" and we forget that living in the moment is just as important. Take 15 minutes and smile. Well, the countdown continues. One week before the movers come to pack our stuff. This week has been a toughy emotionally for me ,I have to admit. It's really hitting me that we are indeed moving away. But one thing that keeps me going is that my closest friends are coming with me. Often you hear them described as "imaginary friends"...people you meet through the internet. For me, they aren't imaginary at all. They may have started out online without a face but over time they have become much more than that. Many, I have even met face to face or have become phone buddies. Thank you Heather for my beautiful necklace that you made. We started as internet friends when I still lived in DC and then we were fortunate to be neighbors for these past few years. I won't accept this as a 'good bye' gift... just a 'see you later' gift! Janee, thank you so much for this treasure. Janee attended a conference at the Mazza Institute in Ohio recently. 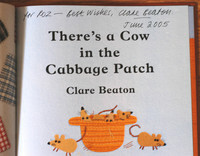 Claire Beaton, one of my favorite illustrators, was one of the speakers and as you can see Janee brought me back an autographed book. teehee ! 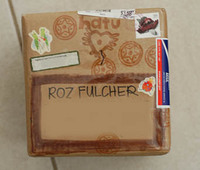 I don't have a picture of it here, but I wanted to thank Laura Hamor for a package she sent me recently. SHe is an illustrator that works with clay and she has found a clever way to do school visits incorporating her craft and representing crayola products. 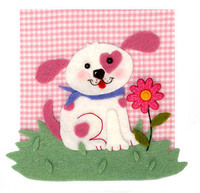 Thank you for your generosity of sharing how to develop a program using felt. Laura sent me a box full of crayola art supplies (yes, I promise, I'm sharing with my kiddos!) and examples of her school presentations. I look forward to exploring this more when we get settled in Vegas. I can't wait for you to start your blog about your program and school visits, Laura! Anyway, I am so excited that my relationships don't have to end when we move. All my lovely internet buddies will be on the road with me and that brings me great comfort. Heartfelt condolences goes out to a fellow blogger and friend, Snowbear of rock-paper-scissors. Times like this, the internet feels so detached when I would love to be there in person to give her a real hug and sincere support through this devastating time. I'm sure many of you feel the same. Look what the mailman brought me today. What a lovely surprise to find a package from Tine! Look what I got! She is now selling these through her website so go check them out. I wore it today and received compliments! It's so unique and fun to wear. teehee. Tine, you made my day today! 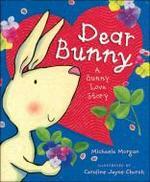 It was a year ago today that the children's book world lost a fabulous illustrator. 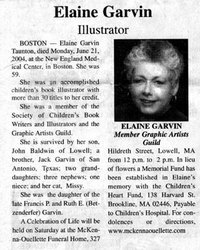 Elaine Garvin was my friend, my mentor and my hero. Lainey, saying that I miss you is an understatement. 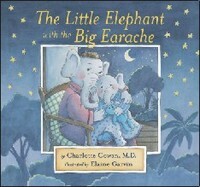 Anyway, she knew that I liked to draw and encouraged me to illustrate one of her Pb's. We were both pretty green and went the route so many 'newbies' do ...that we would submit a dual submission to publishers. But let me tell you that experience showed me what I wanted to do with my life. Sheri is a real go getter and she helped me learn to use my first computer, found illustrator groups for me to join and dragged me along to my first scbwi meeting. I was hooked. 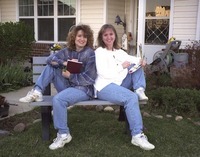 We would dream and dream big and here we posed , in my front yard, for our jacket photo that would go with our book. teehee! Sheri and I chatted this week. We haven't lived near each other for about 3+ years and quite honestly ,we only reconnect about twice a year...you know how it is, life gets in the way sometimes. But whenever we start chatting time stands still. I have never felt such a connection with a friend like I have with her and I believe she feels the same. She got word recently that she and her family are being reassigned to DC and of course we began reminiscing. 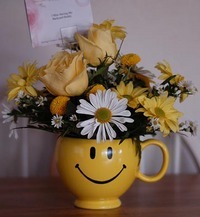 Hence the flowers that came with the message, " I miss my backyard buddy". I do to, Sheri, I do too. Here's to friendships that never die no matter the distance. I love you, buddy. 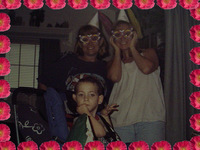 The pic of us that she still keeps on display at her house. I am so excited about a package that is in the mail for me. 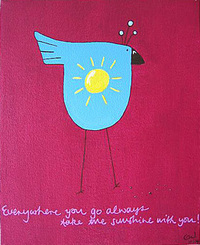 I ordered a soul birdie from the lovely Christine Wiggens of "Tine Sparkles". She has completed a series of paintings where each birdie represents a different "soul" and I instantly fell in love with her Sunshine one and had to have it. I asked her for a jpg so I could show you all because I'm an impatient annie! This painting will be placed above my drawing board so I'll have a pleasant reminder every time I look up. Wow, I can't believe it's nearly here, a new year. I so love christmas but I equally enjoy this time of pondering and preparing for what lies ahead for the next 12 months. A clean slate of potential and possibilities! I have so many hopes and dreams. It's no secret, the main one is the same as the past 4 years... to become a successful children's book illustrator. I want it so much I ache. And you know what's strange is I really can't put a finger on 'why' when people ask. I just know that I love everything about it. 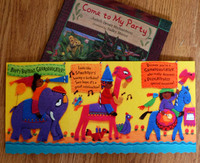 Creating art to help bring words to life for small children makes me feel complete, satisfied. I don't know how else to explain it! I have always been creative and was even writing/illustrating my own books as a child but I think I took my artistic side for granted. I didn't grow up knowing that this is what I wanted to do with my life like so many others. It wasn't until after I was married with children that I discovered the world of freelance illustration. Really, I should say it found me. It's a long story but after we got our first computer a friend of mine (children's author) knew i enjoyed drawing and found a ton of on line illustration lists for me to join. Oh my gosh...I thought I'd died and gone to heaven....kindred spirits under the tips of my fingers. I was home! My biggest mental obstacle ,though,was that I hadn't gone to school to get an art degree. I felt 'less than'. That was until I met Elaine Garvin, my dear friend and mentor. I can't end this year without telling you about her. 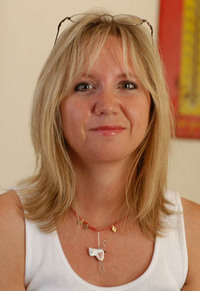 She was a successful children's book illustrator with 20+ books under her belt. She was well respected in the children's book illustration community and made it her mission to help aspiring illustrators . I idolized this woman. She drew how I WISHED that I could and on top of it all , she was self taught. She made me see that it was possible and believed in me before I ever could. I was blessed to learn from her for nearly 5 years. Lainey passed away unexpectedly this summer. It was devasting for all of us that knew her. What a void there has been without her here. I have felt so lost without my anchor to guide me. Yes, I relied on her heavily and she knew it. I liked to make her proud of me if that makes any sense. I wanted to prove to her that all her effort helping me was appreciated,that it wasn't in vain. I miss her laugh and I miss her humour. There's so much I want to tell you about her....just know that she was wonderful. We are so blessed to have this venue to network together! Being a freelancer can be a very isolating experience. And not all husbands ,wives and friends really 'get you' as much as they try to, bless 'em. On these lists you can talk til your blue in the face with others about the ups and downs of freelancing and never tire of it. That's such a gift isn't it? The friends you are making through these blogs and online are not accidental. Cherish the people that are put in your path to guide and support you. I know that you do. And equally know that you are affecting someone in a positive way by your support and sharing of experiences. Lainey I miss you so much. I'm not going to tell you goodbye. Instead I'm going to believe that you are still cheering me on as I continue on this magical,frustrating, invigorating, windy path to fulfilling my dream. So New year...come on ....I'm armed and ready! I can't believe it's already here, can you? Are you ready? I think we are. We just need to wrap... nothing major. NOT !...three kids..it's pretty major haha. The kids really enjoy opening on christmas eve, so we'll do that again this year and then see what santa brings christmas morning. They are absolutely pinging off the walls with excitement! Remember those days? Oh I miss the excitement of seeing what santa had brought. I'll never forget the year I walked down the hallway and found a barbie townhouse waiting for me...it even had an elevator that worked by pulling on a string. Oh , now that is living! 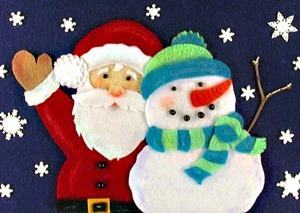 I hope you all have a wonderful holiday and that santa brings you what you ask for this year. I'm asking for a big book contract to come my way for a story I've written and illustrated. SANTA, I've been a good girl this year, HONEST!! Anyone who knows me well, knows how important I feel it is to have a strong support network. This illustration world can really take its toll on your self confidence if you're not very careful. I have personally found it CRUCIAL to be in regular contact with people striving in the same profession. 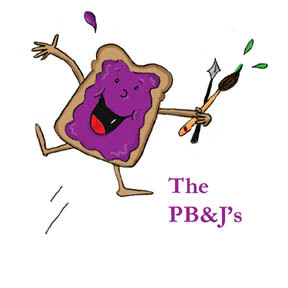 Recently some friends of mine and I formed an online critique group that focuses on both writing and illustrating for the Picture Book Market. We named the group Pb & J. Picture Book Junkies...because that's what we are! We brainstorm over manuscripts,illustrations, websites and marketing goals. Over on the sidebar you can view the websites of some of these members. I'm so fortunate to be surrounded by such talented ladies. If you aren't in a critique group, I encourage you to join or form one of your own. Support is a powerful tool.